After a few weeks at home, Sarah, Daniel’s mother, knew in her gut that something was wrong. Sarah took Daniel back to the hospital when he was only a few weeks old, but was turned away because she could not pay for the tests or the doctor. Sarah kept trying. She took Daniel to clinics and hospitals only to be turned away again and again. Despite this rejection, Sarah was resilient. She continued to look for help. By God’s grace, she was referred to Under Five by her pastor. Under Five brought Daniel and Sarah to BethanyKids at Kijabe Hospital where Daniel was examined by a neurosurgeon. Daniel was diagnosed with hydrocephalus (“water on the brain”). The doctor emphasized the immediate need for surgery due to Daniel’s critical condition. The sooner the better. Under Five immediately launched a fundraising campaign on facebook for Daniel. 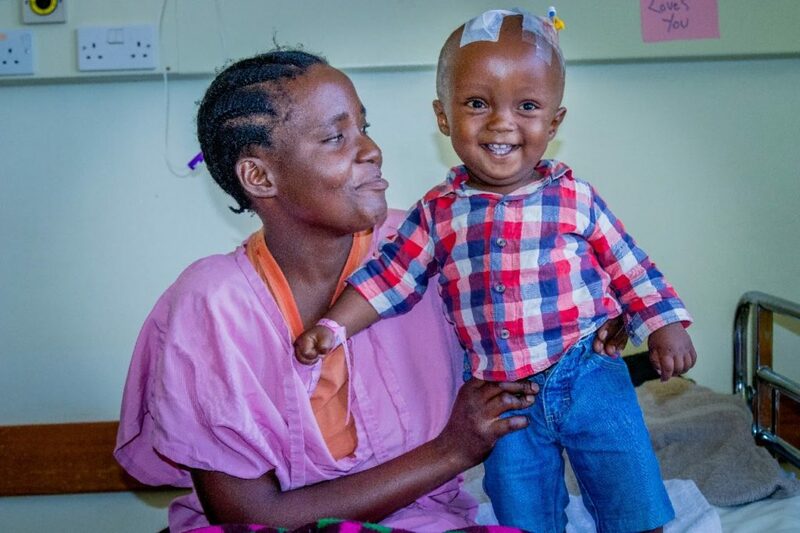 By 5 o’clock that evening, the full amount had been raised and Daniel was scheduled for surgery! On September 26th, Daniel was finally seen by a doctor. On September 28th, the funds for his surgery were raised in less than twenty-four hours. And on October 4th, Sarah waited anxiously while her son received a procedure that saved his life. For over a year, this mother fought, prayed, worried, and cried for her son. And over the course of one week, their lives were forever transformed thanks to the supporters of Under Five. Daniel’s surgery was a success. He is well on his way to recovery and his mother will have the great pleasure to watch him grow up happy and healthy.